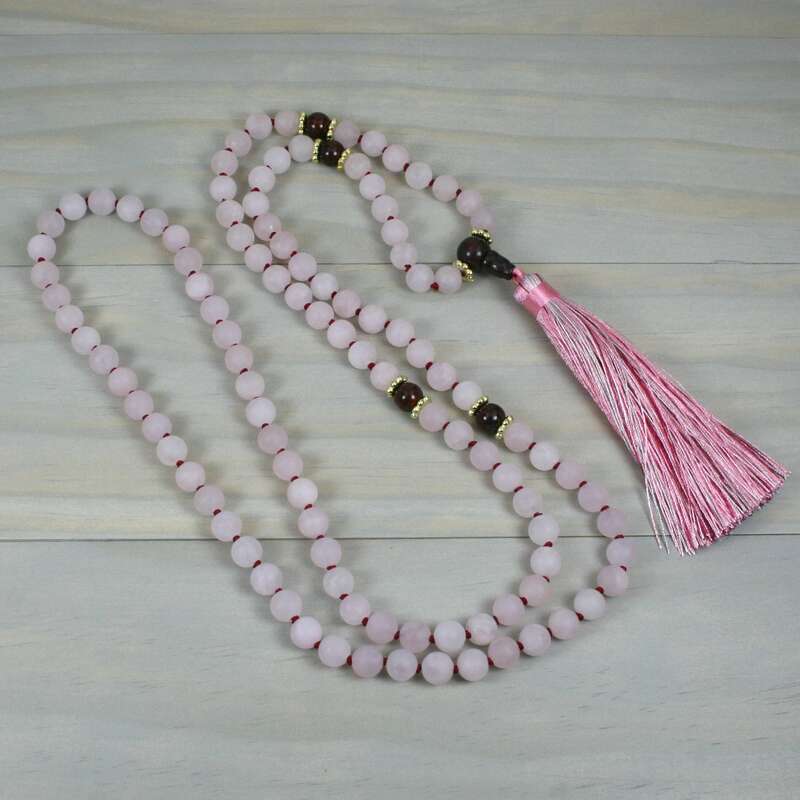 This mala is with 8 mm matte rose quartz stone beads, brecciated jasper guru and tower beads, and brecciated jasper beads and gold plated roundels serving a marker beads. 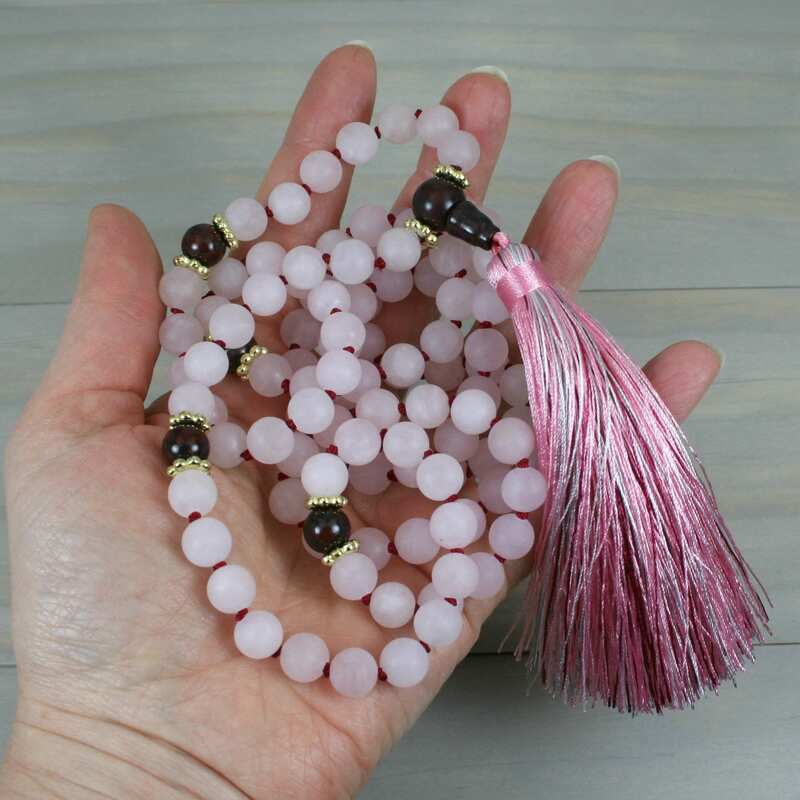 The mala is made in the Zen style with the 108 beads separated into sections of 7, 14, 66, 14, and 7 with the marker beads. The entire rosary is hand knotted on scarlet nylon cord. 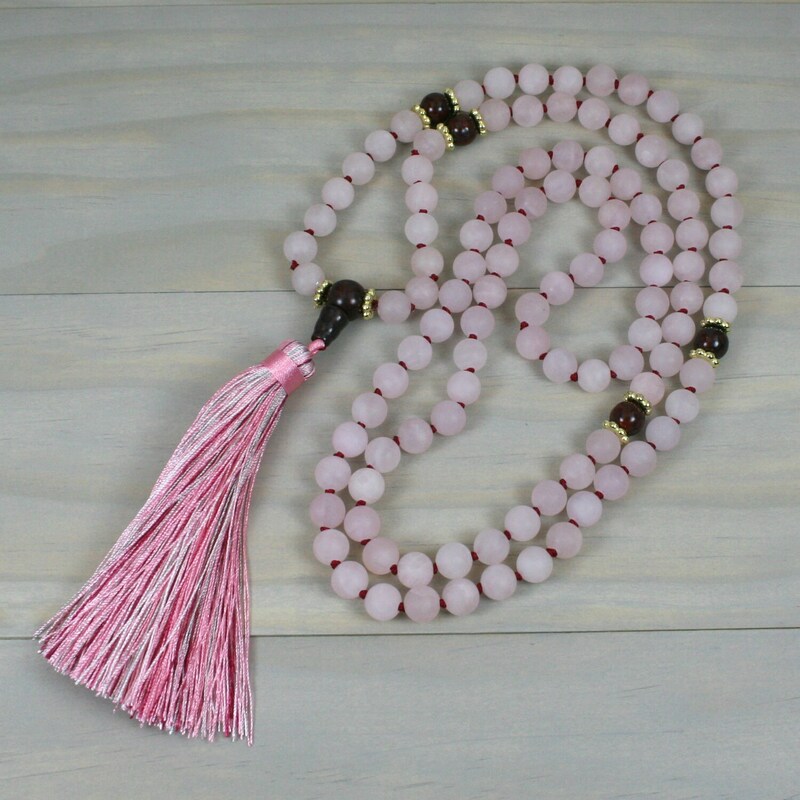 The tassel is nylon in multi-colored pink and red tones. 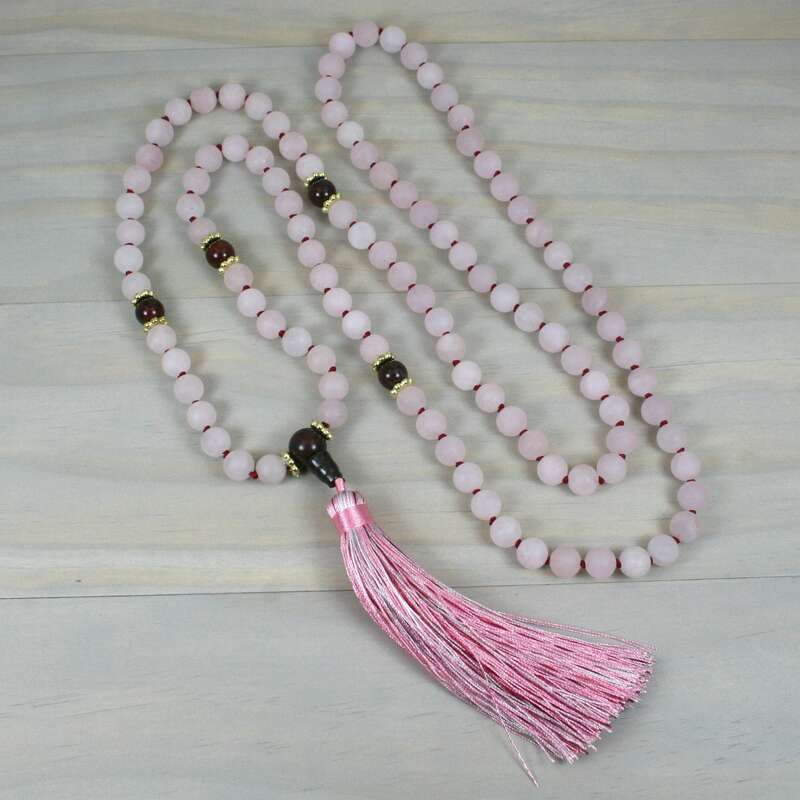 The mala is approximately 20.5 inches long from the top of the loop to the guru bead and 25 inches from the top of the loop to the bottom of the tassel when fully stretched out.